We’ve been studying up on the idea of journalistic “angles”, in preparation for the writing of our big narrative journalism piece. It’s an unfortunate and important time to be examining such things with high school students. Where we’d normally examining several models about random topics and attempt to uncover the underlying purpose or persuasive efforts of the author, we found ourselves this year understandably distracted by the terrible news of another school shooting. It didn’t at first occur to me to revisit such a tough topic as part of our ongoing study of narrative journalism. Until I came across a terrifying and powerful article at The Atlantic about what AR-15 bullets do to human bodies. It was gruesomely written for maximum impact on its readers–a master class in angle if I ever saw one. While the author is a radiologist not a surgeon, Heather Sher’s intentions as a writer are as sharp as a scalpel. She describes the results of an AR-15 on the human body thusly: “The organ looked like an overripe melon smashed by a sledgehammer, and was bleeding extensively.” Having already described wounds from other bullets as nothing but thin gray lines on an X-ray, Sher leaves readers with a jarring realization–and we’re only eight sentences into the piece. The concept of “angle” can be subtle or explicit , complex or linear. My students had no trouble making sense of this article, but they were still pretty new at examining angle (implicit meaning isn’t a skill they’ve all mastered deeply, either). Having exposed them to one strongly-intentioned voice, I suddenly realized that without some more perspective, the most extreme “takes” on the shooting might be the only ones that would shape their perspectives. As I started to recall a couple other articles I’d been reading (the Parkland shooting had left me pretty rattled too), it occurred to me that I’d be a fool to ignore this chance to help the kids apply a skill they were learning to a real-life struggle (making sense of a tragedy) they were all going through collectively. As folks trained in writing, we often overlook how much that skillset helps us navigate the sometimes insane news cycles that the past couple years have thrown at us. For our kids, trying to make sense of so many articles and talking heads heaving facts and opinions at them at such a rapidfire pace (I LOVE Twitter, but it’s an unholy nightmare at times like these!) can make them shy away from engaging altogether. Or worse, they retreat to tribalistic attitudes about events based on the most superficial of understandings. It didn’t take me long to track down six other articles–each about the AR-15 as a weapon, but each unique in the angle it wanted to approach readers with–that I thought might spark some thought-provoking exploration in my students. Each was ostensibly an exploration of the weapon’s role in American culture, but it was also promoting a particular perspective. In lieu of reading each article in its entirety, we instead focused on the opening segments–never more than 7-8 paragraphs, at most. Many used their computers or phones to finish the articles on their own, but our purpose was to try and pin down the author’s angle–a question of intent and purpose–before getting swept away by the persuasion. In many cases the angle was so obvious that it was clearly designed to incite anger from like-minded readers more than persuade a neutral party: Red State’s article about “The Gun Grabbers” who are definitely after “all guns” was a great example of that. In other cases, the angle was subtle (or unexpected) enough that some of my kids actually couldn’t spot it without support from their classmates. A Wired article examining the AR-15 as a “gadget” was a particularly hard one for them to parse. The notion of a professional writer looking at a gun from a non-partisan, curiosity-based perspective was actually foreign enough to them that they felt something more sinister or subtle must be afoot. It was also a healthy palate-cleanser for them as factions began to emerge about what side of the gun debate they actually side with. By next week, my students will be writing their own narrative journalism articles, few of which will be about politically-charged topics. Most of them will arrive at an angle for their storytelling that personalizes and creates a sense of destination for the reader. This year, though, it was the time we spent reading–and conversing– like writers that provided them the most useful skill a writer has in their toolbox. How do you help your students process modern news cycles? 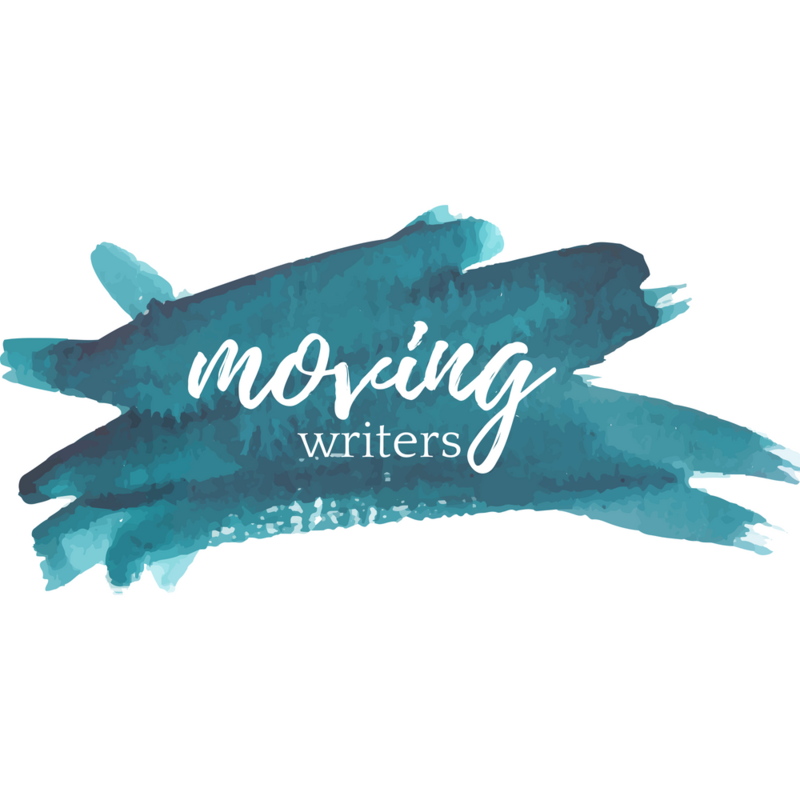 Share your thoughts at Facebook.com/movingwriters or via Twitter at @ZigThinks . Previous PostReview Beyond Literary Analysis & Win! Next PostGetting Ready to Go Beyond Literary Analysis! I actually work with HS juniors! I also hesitated to use the article because it was so graphic, but I ultimately decided that it was perhaps worth it because they were already neck-deep in their discussions of the issue and I could already hear a lot of inaccurate opinions emerging (to the right and the left, tbh). It felt like this article was a good starting point to help them think about the hidden complexities of the issue–I find that HS students are sometimes so “context free” that simply pointing out how much they (or I) don’t know about a topic can be a really really beneficial experience for them. If it helps you consider approaching the article, I did not perceive any startled or troubled reactions to it–I think it was also helpful to balance it with some other perspectives (like pieces from responsible, level-headed gun owners) and to ground the conversation in policy considerations, not the shock value of the piece. We do a lot of work with pop culture and film in the first semester of my course, and through independent projects I’ve discovered that most of my students have had so much exposure to fairly violent imagery that this actually probably made sense to them, as opposed to coming as a complete surprise. Perhaps it even connected the dots of fiction and reality for them? We also had a conversation purely about how the kids were FEELING the day after the shooting. We did not read or analyze anything that day–it was just a chance to let them vent their immediate emotional reactions (frustration being the most common, I found) without being asked to intellectualize anything. I think this article was easier for them to approach because they’d had this opportunity first and then a couple days off to put some distance between us and the tragedy. Hope this helps! Hi Michael, thanks for explaining this careful approach to text-selection, and the geometry-themed visuals are winners as well. I too loved Sher’s Atlantic piece. I considered it–or excerpts from it–as a text for my HS seniors but finally decided it was too visceral for students who might already be pretty frightened about school shooters. Would you do this topic, the AR-15, with high schoolers? If so, how would you approach it?